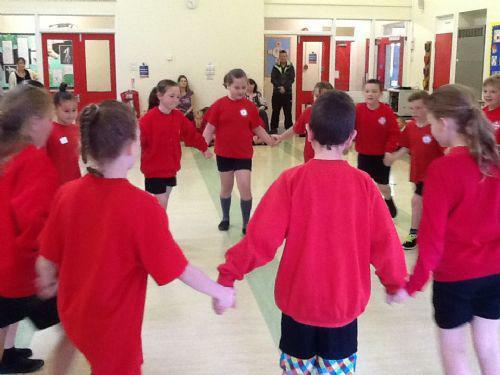 Lunchtimes - organised football games, country dancing and playground leaders activities. Lunchtimes provide a great opportunity for the children at St. John's to participate in a variety of activities. As well as the playground equipment that the children can use to keep themselves active, we also have our playground leaders who organise games and activities for all children to participate in.